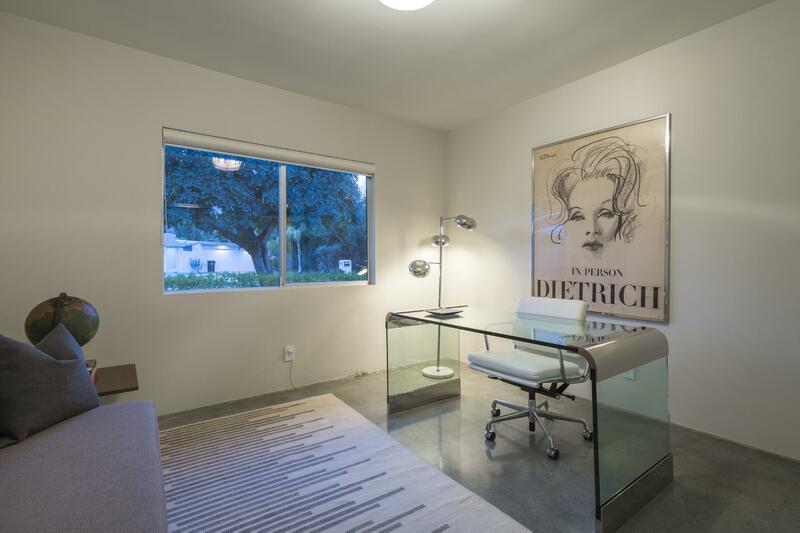 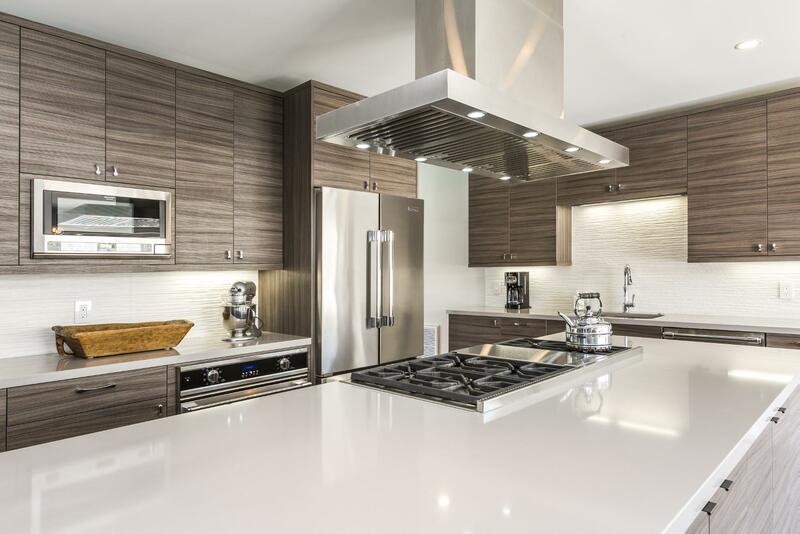 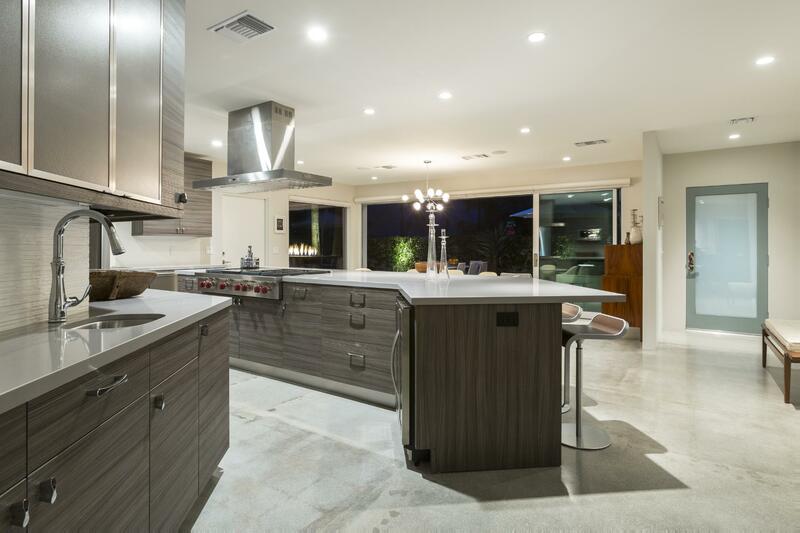 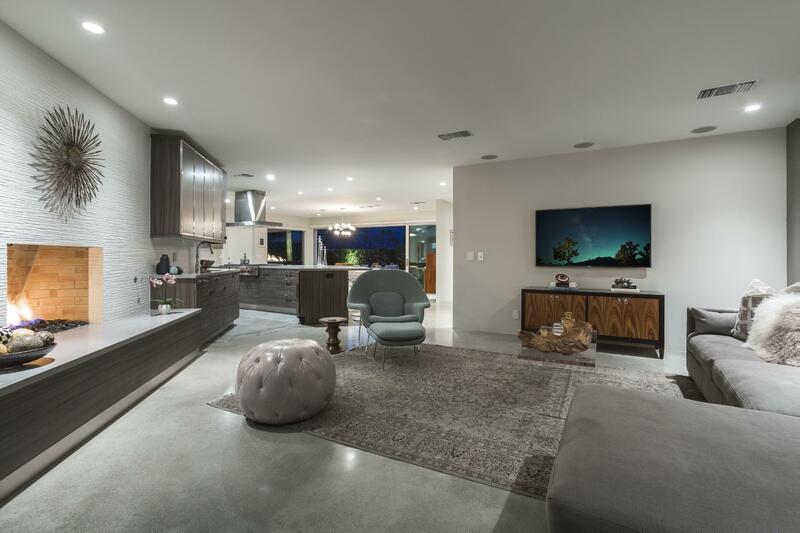 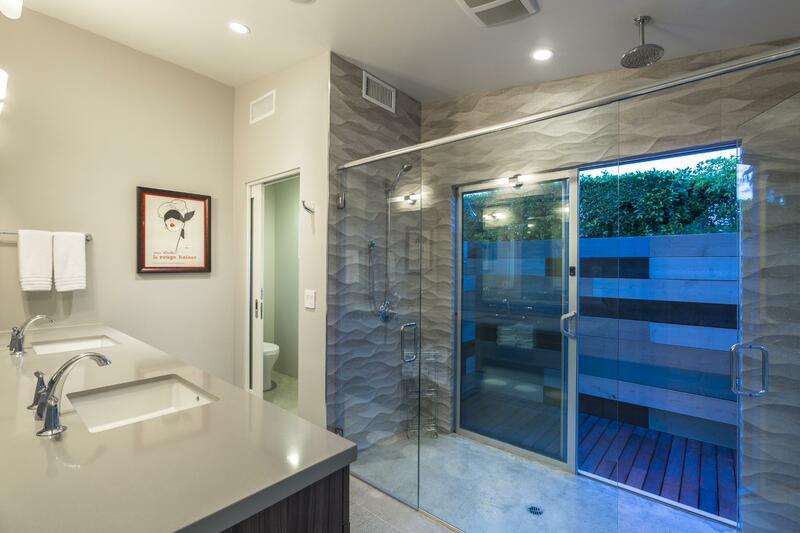 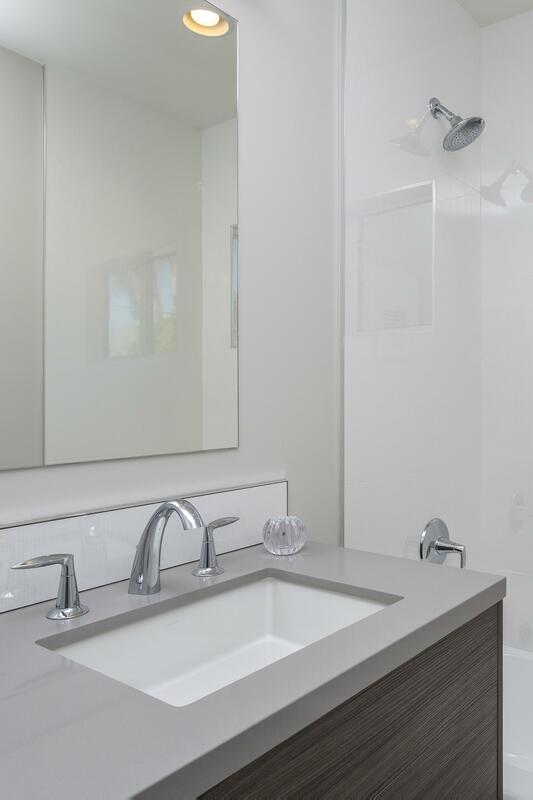 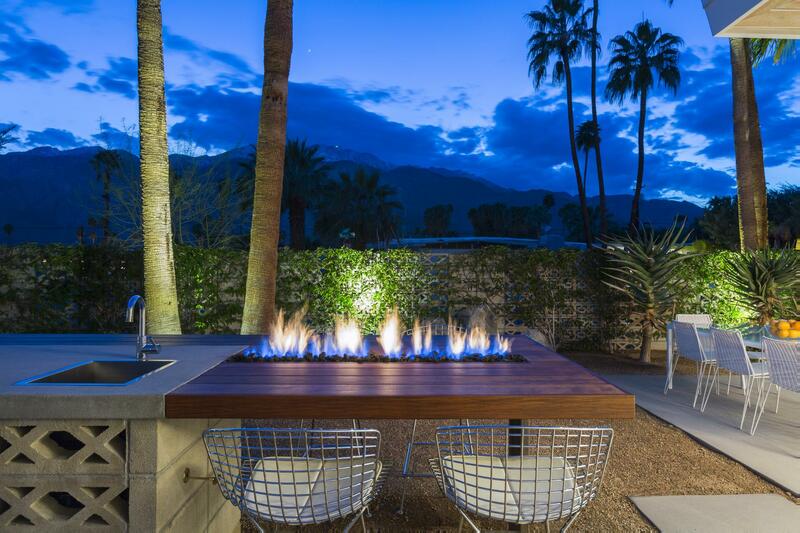 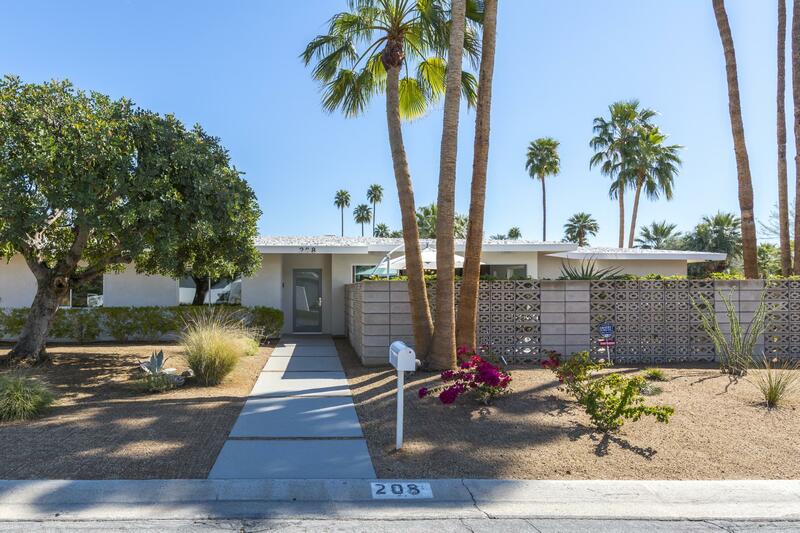 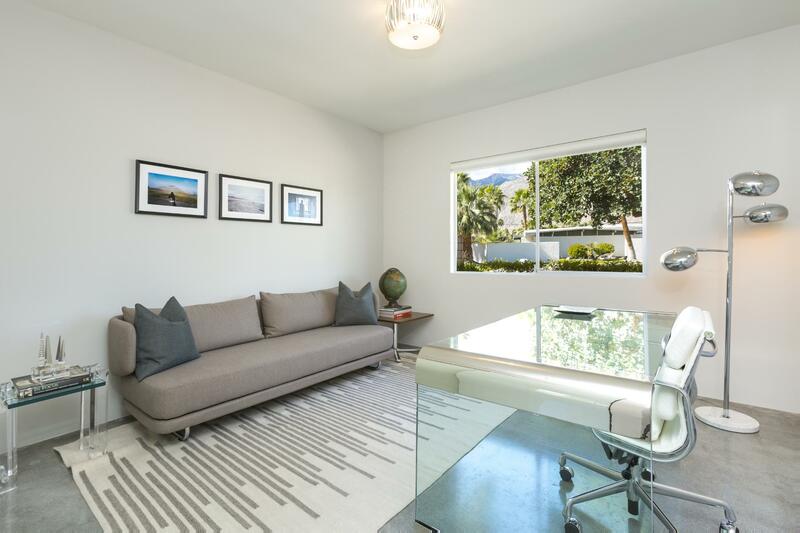 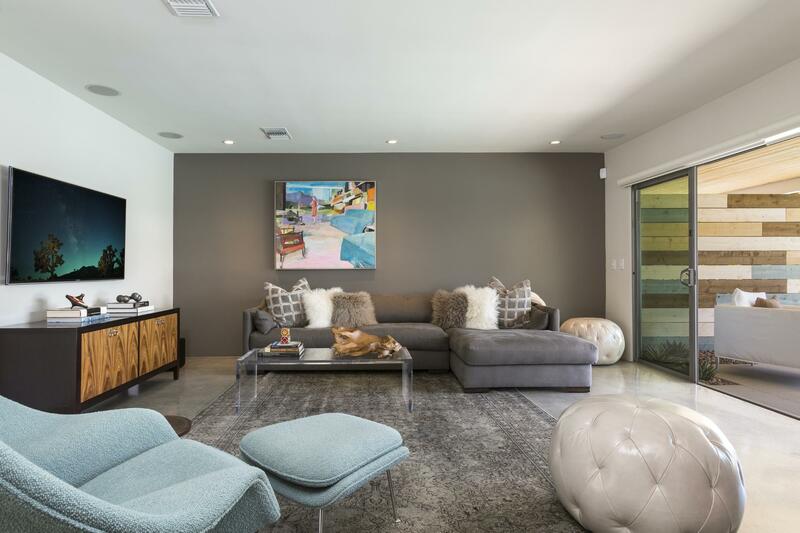 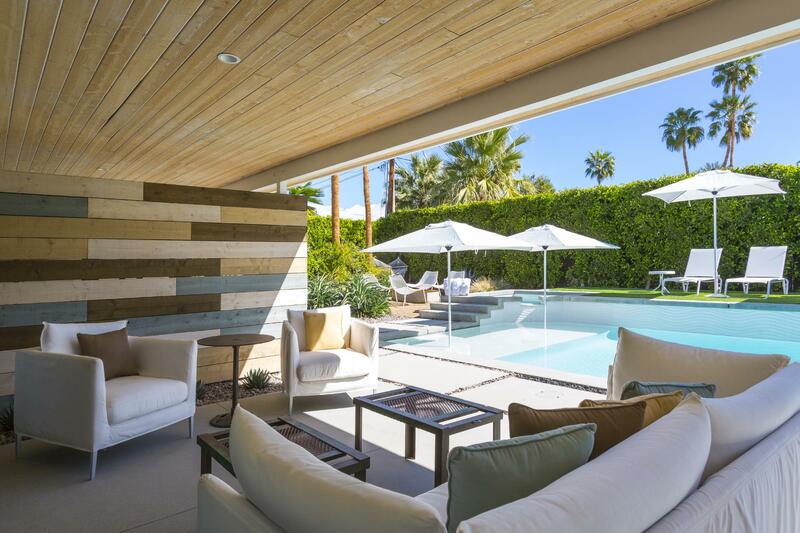 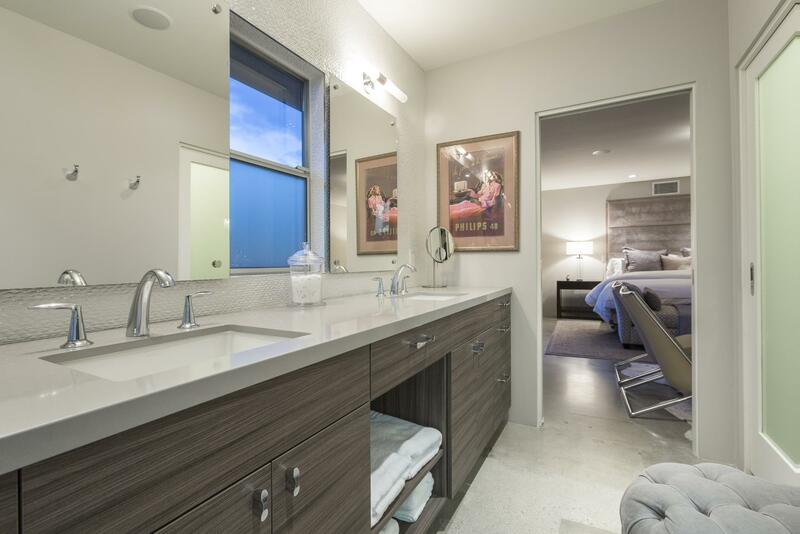 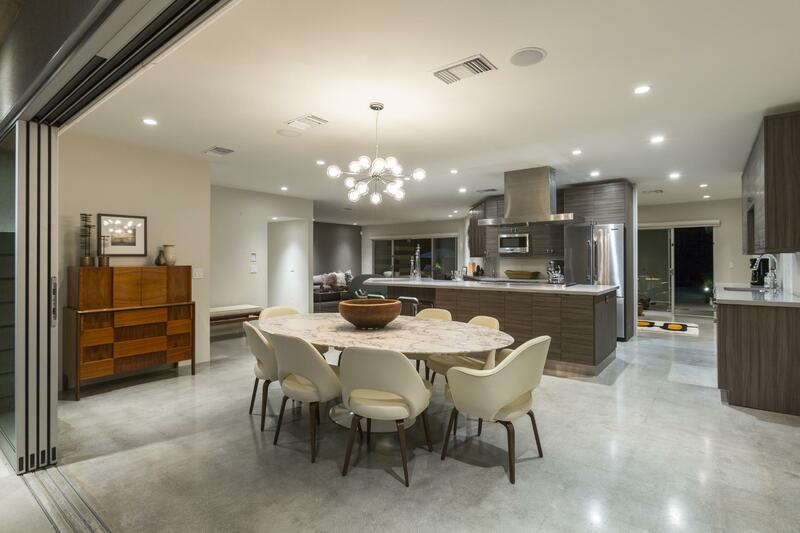 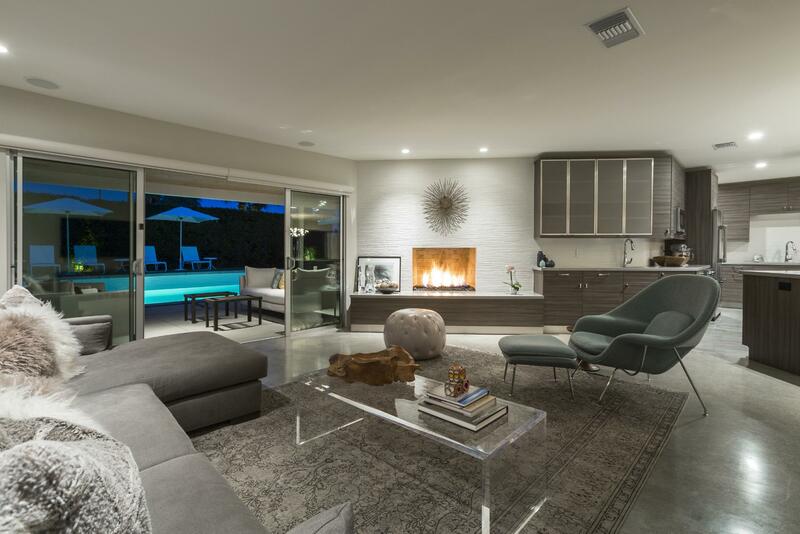 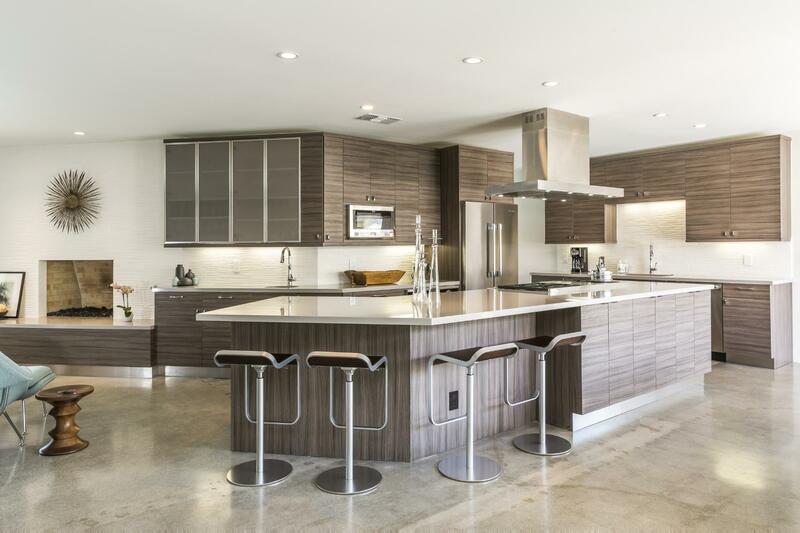 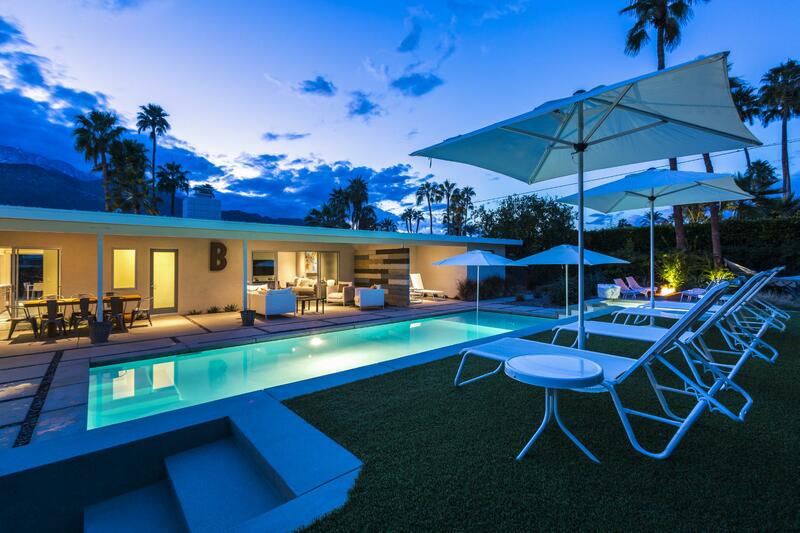 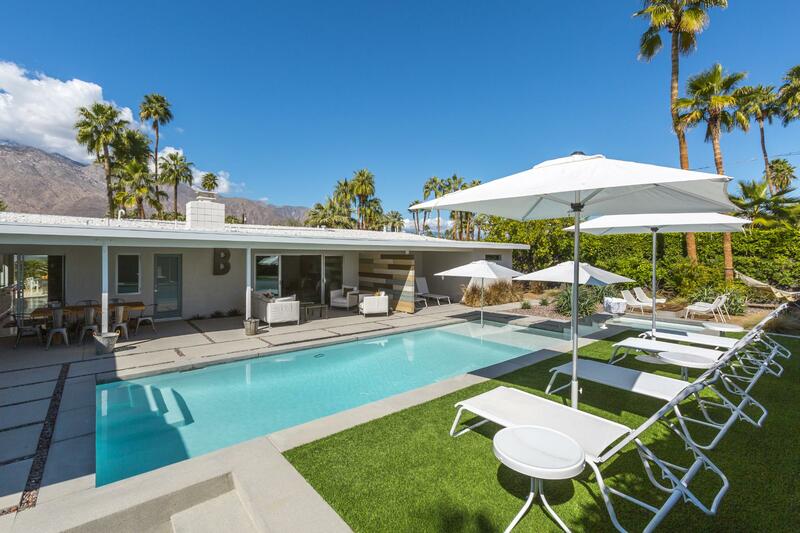 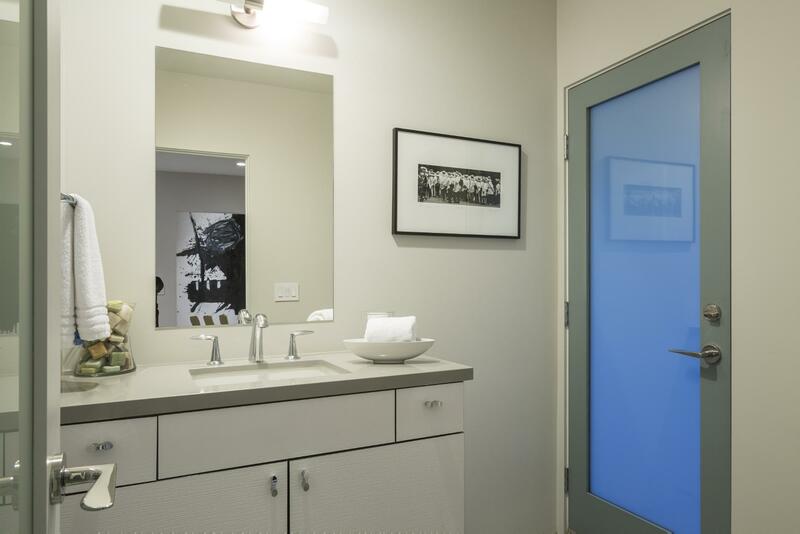 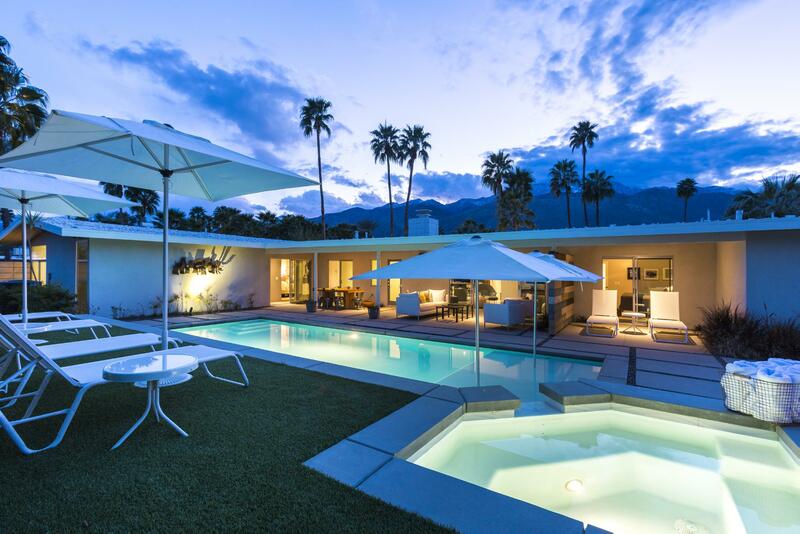 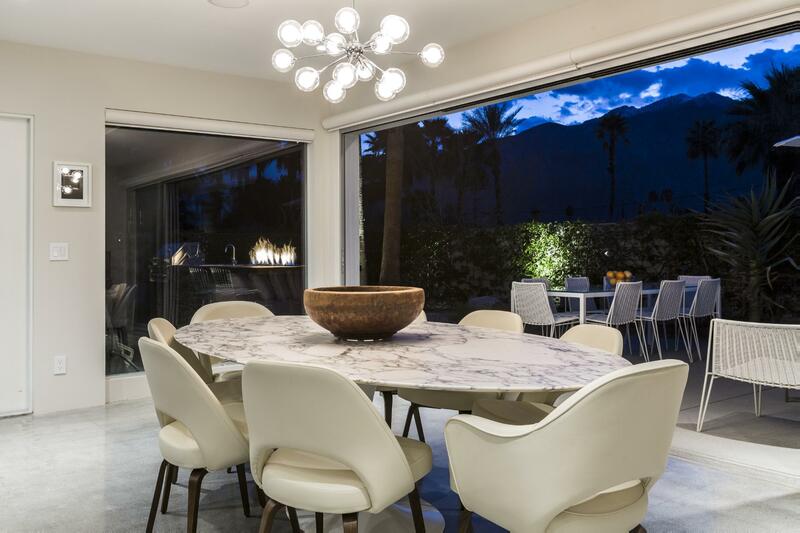 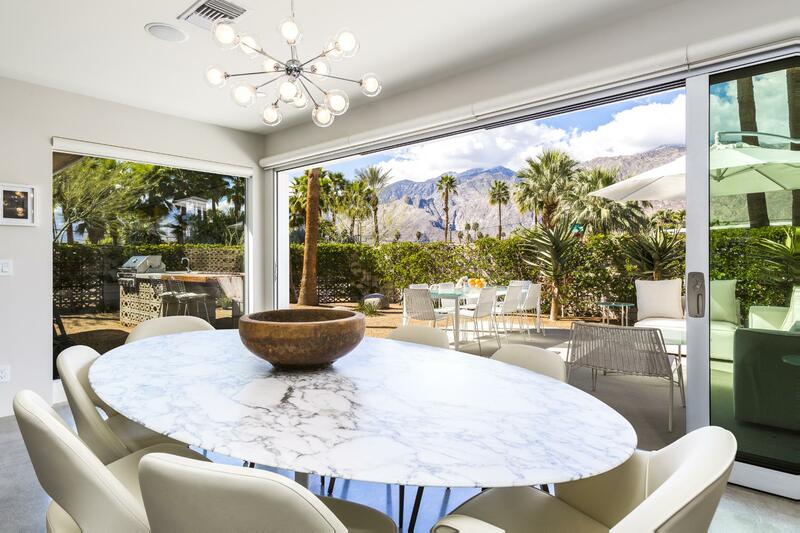 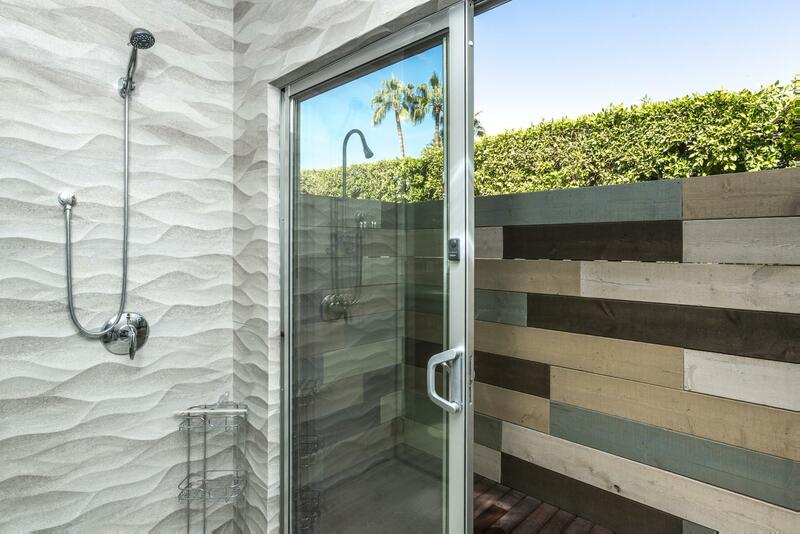 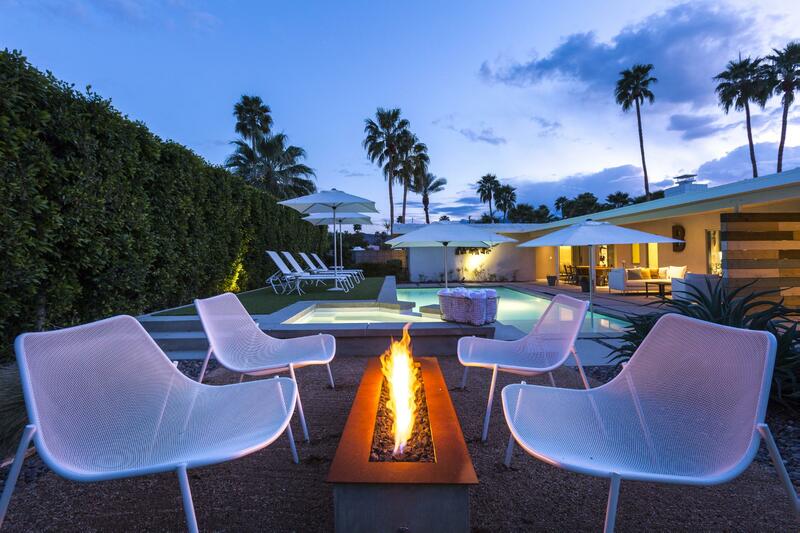 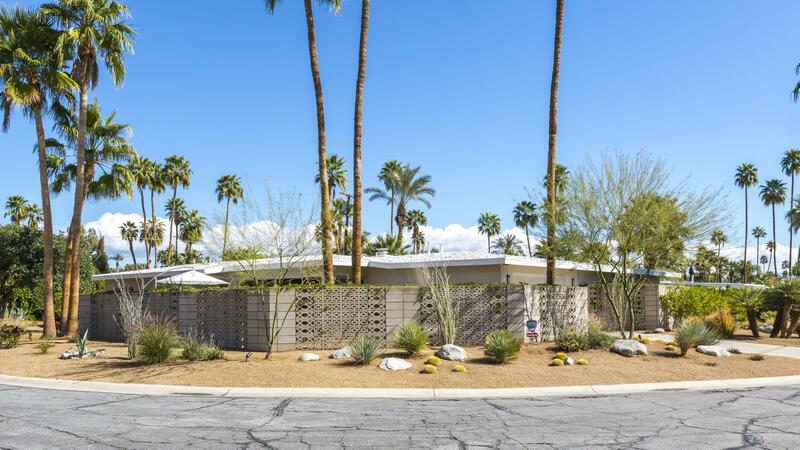 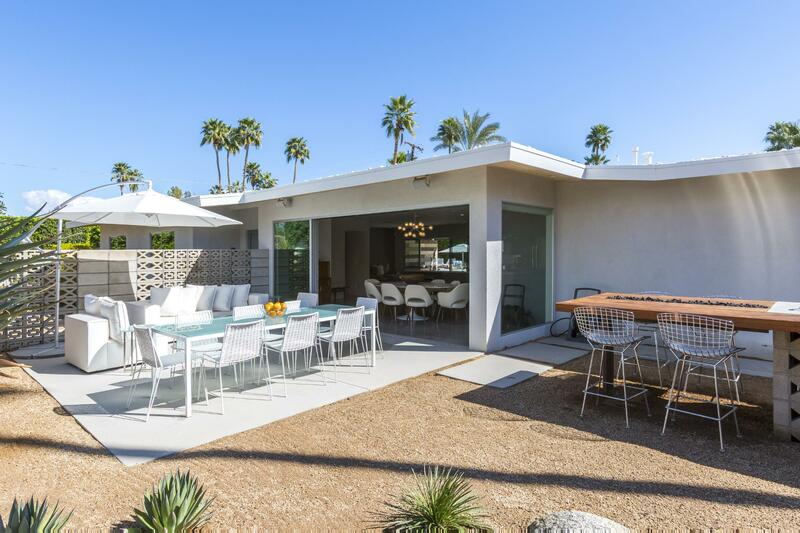 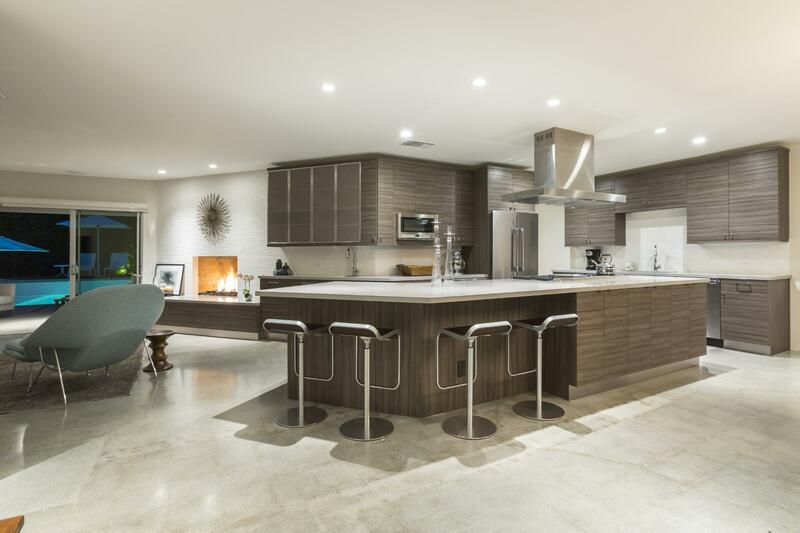 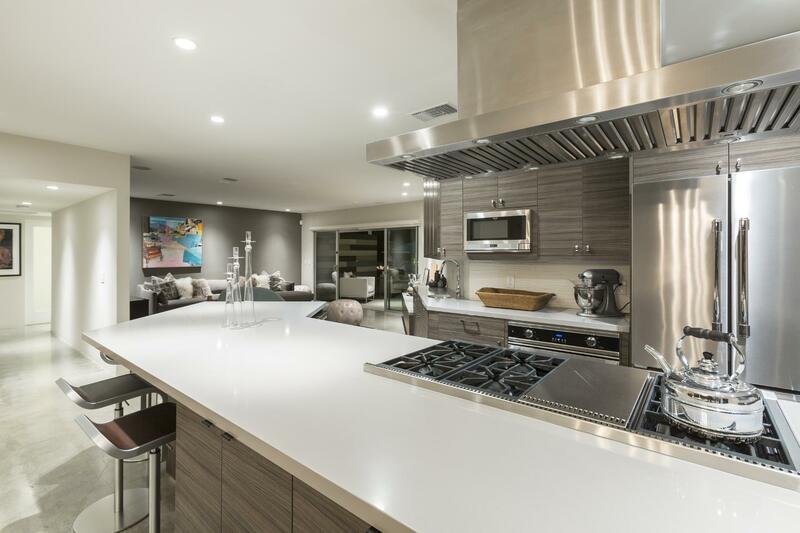 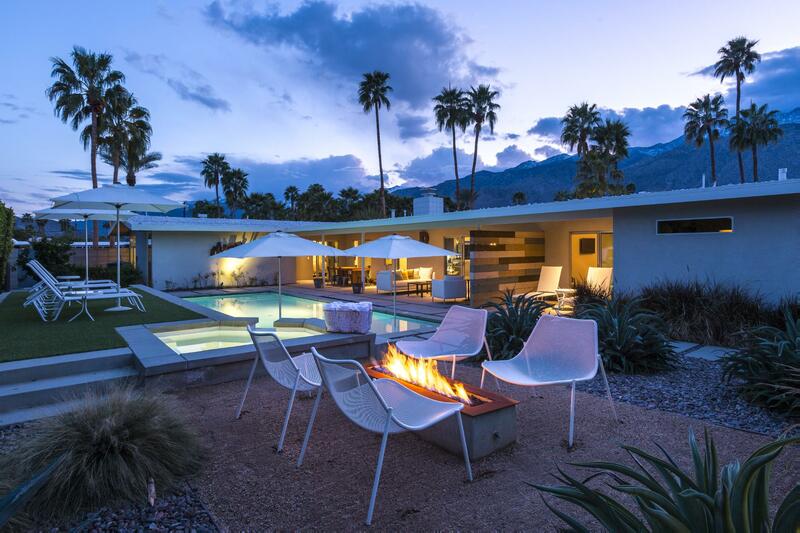 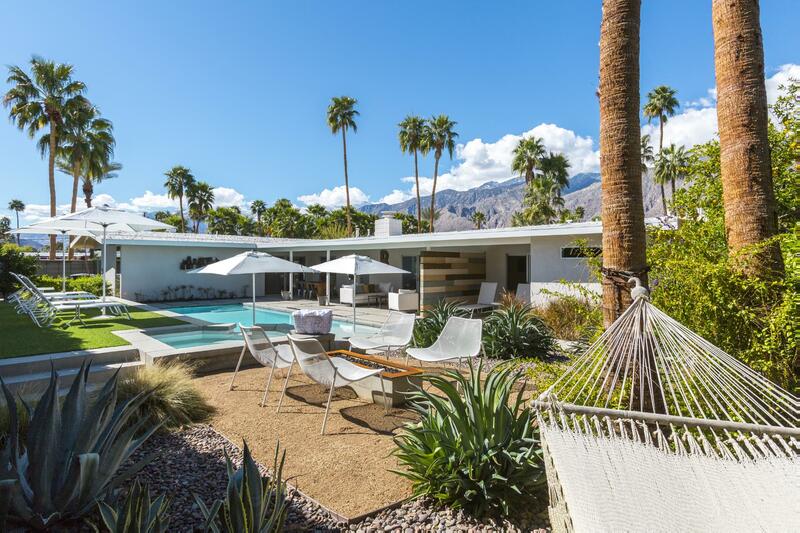 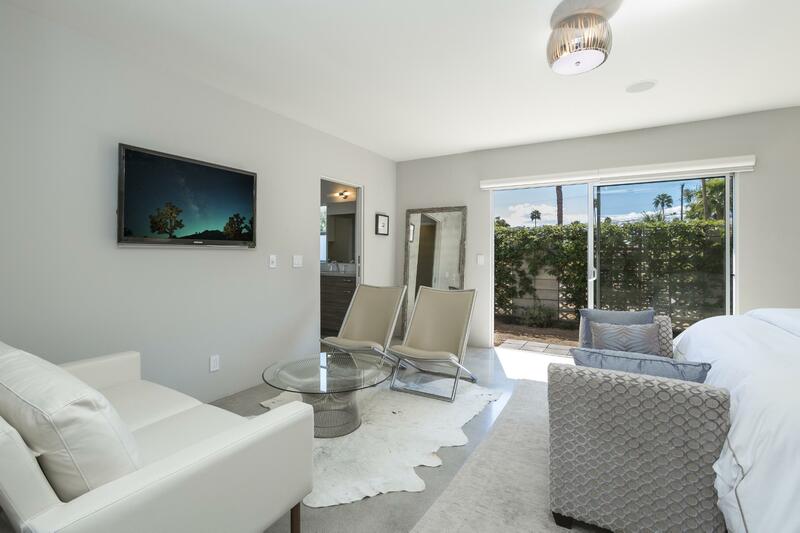 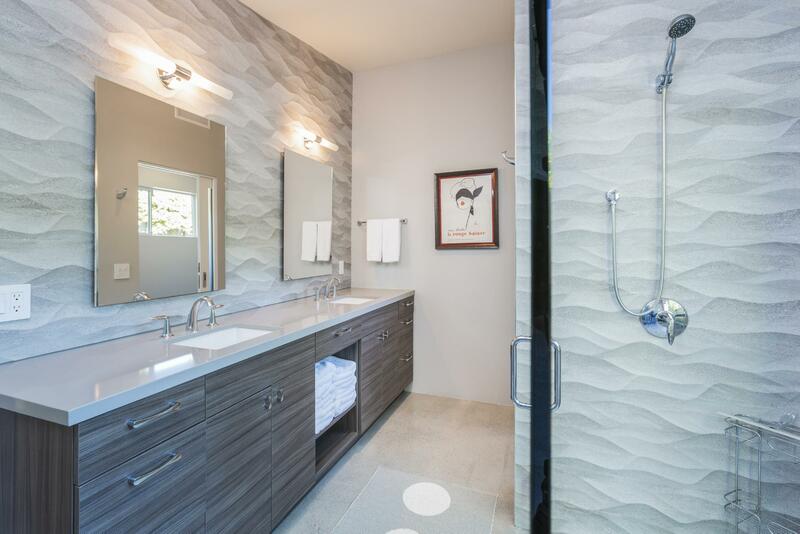 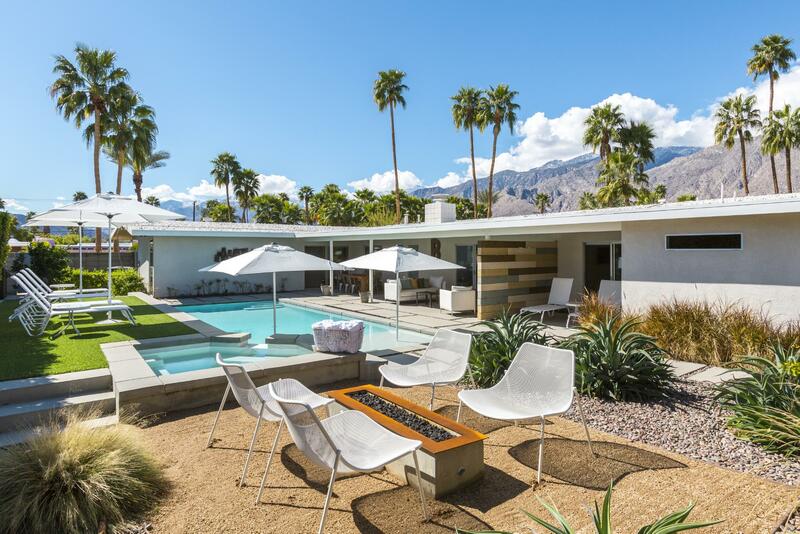 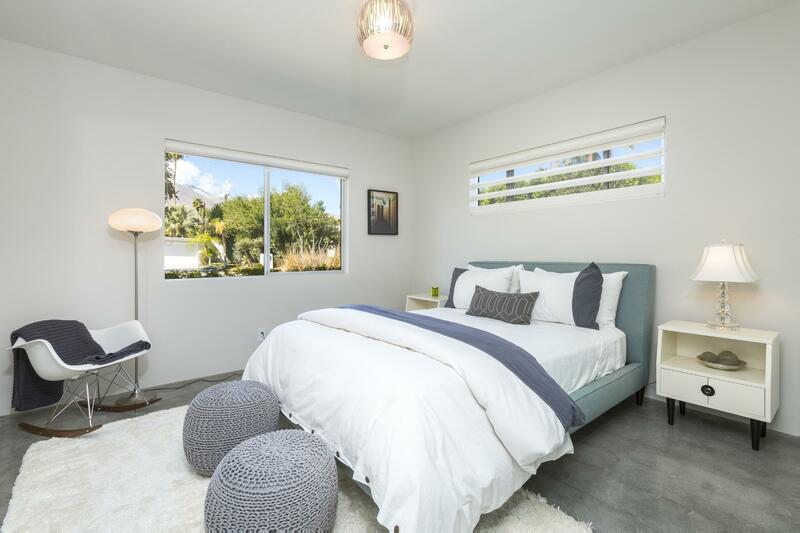 The Baker, the perfect marriage of Palm Springs architecture, texture and modern design, all conveniently located just minutes from Downtown Palm Springs and all that it has to offer. 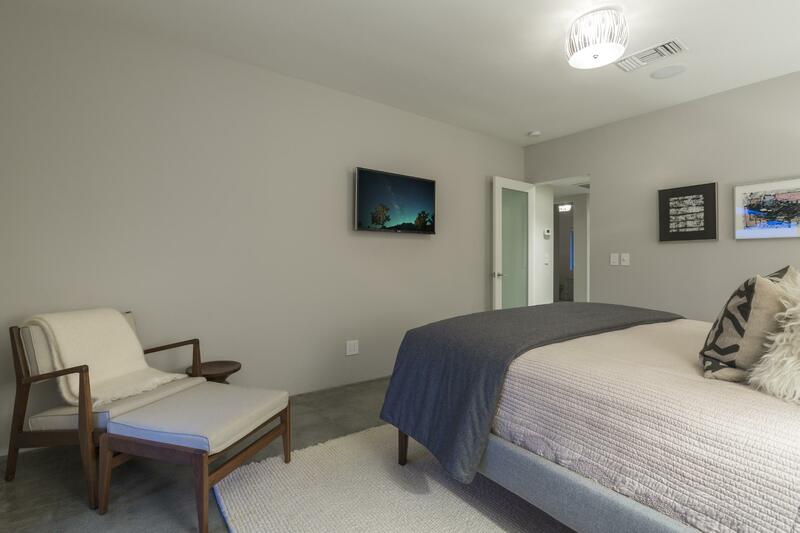 The home offers three bedrooms, with dual master suites. 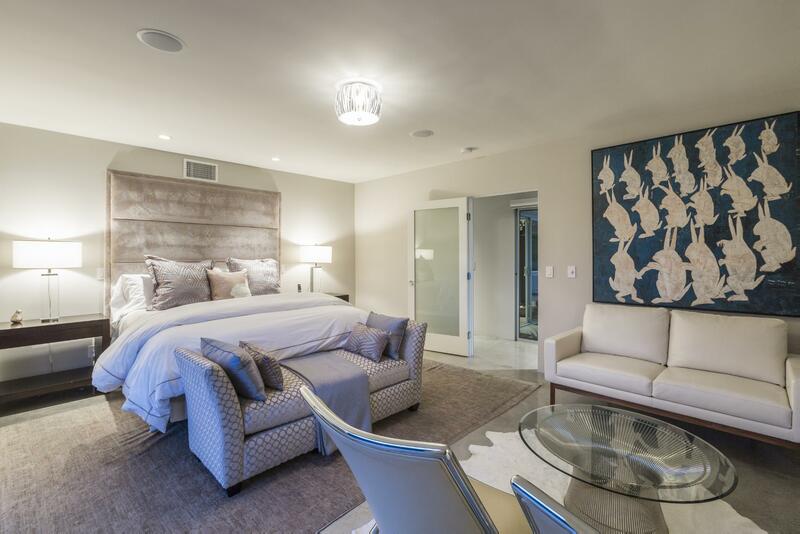 The first master suite features a king sized bed, sitting area, and en-suite bathroom. 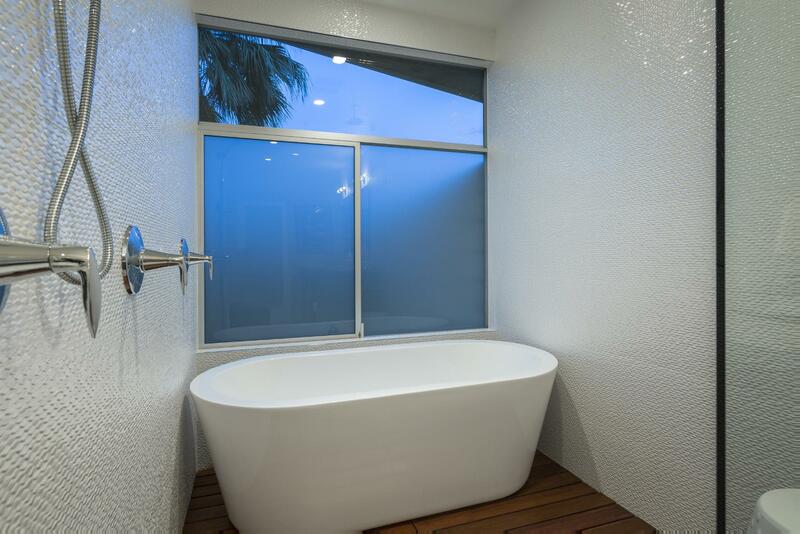 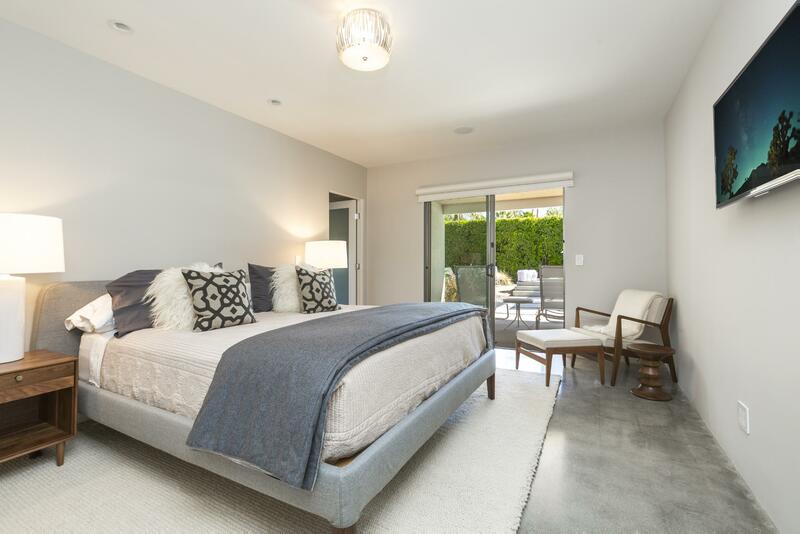 The second master is located at the opposite end of the home and offers a king sized bed, and en-suite bath. 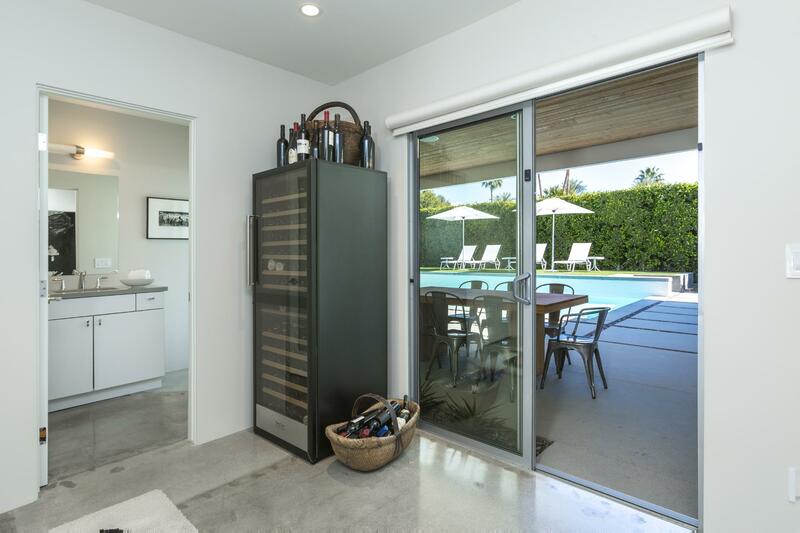 Located off of the second master suite is a semi-private patio with direct pool access. 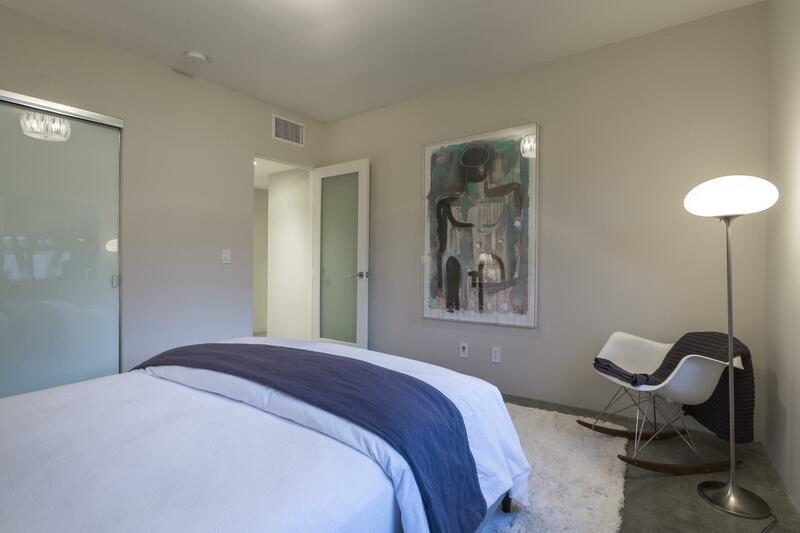 The third bedroom offers a queen sized bed and shares a hall bathroom. 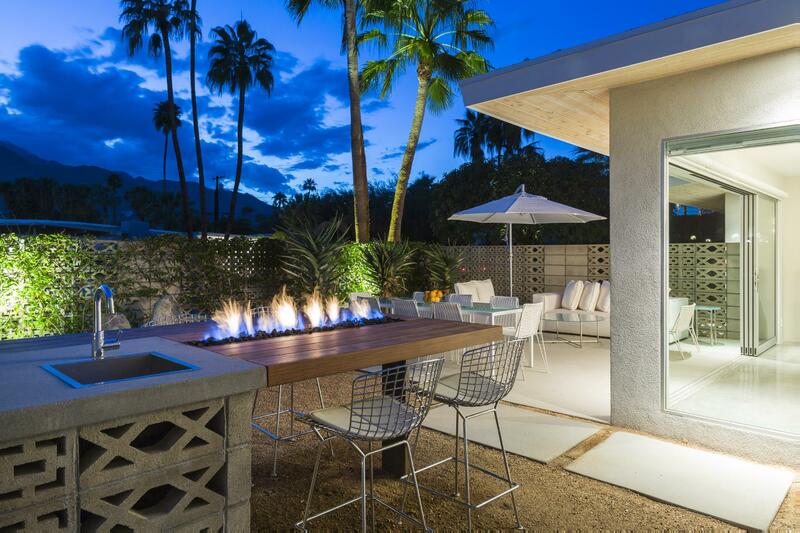 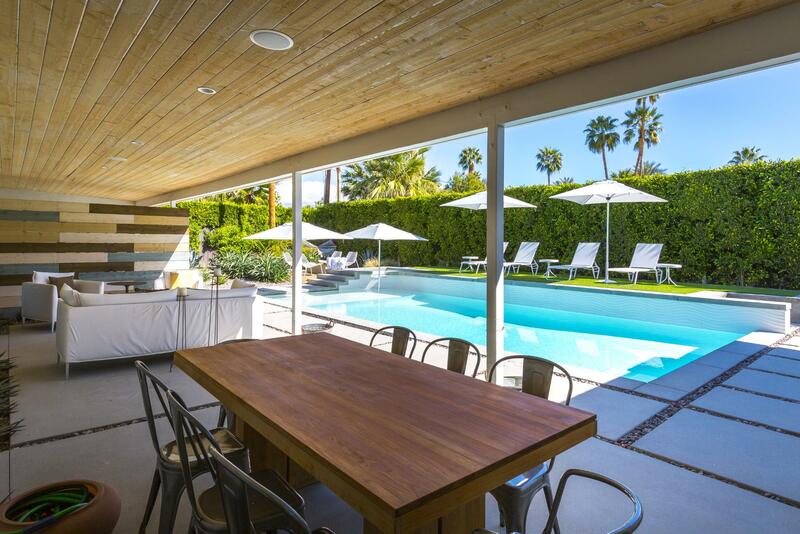 The Baker features two distinct outdoor living spaces, both walled and gated for privacy. 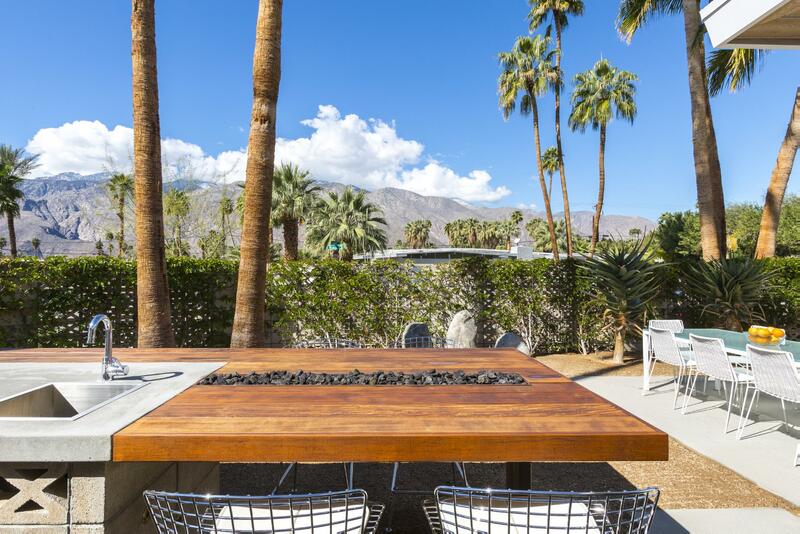 At the front of the property, which is Western facing, there is a custom built-in gas barbeque with bar height fire table and bar seating. 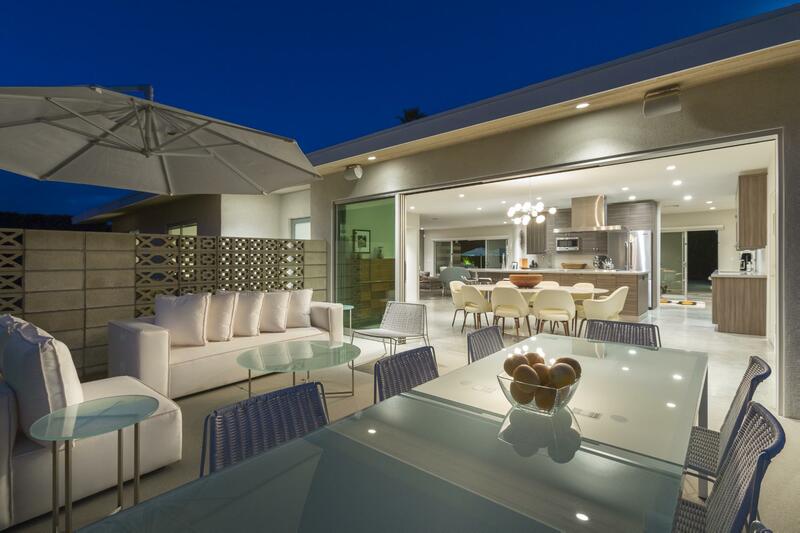 There is also an outdoor living and dining area. 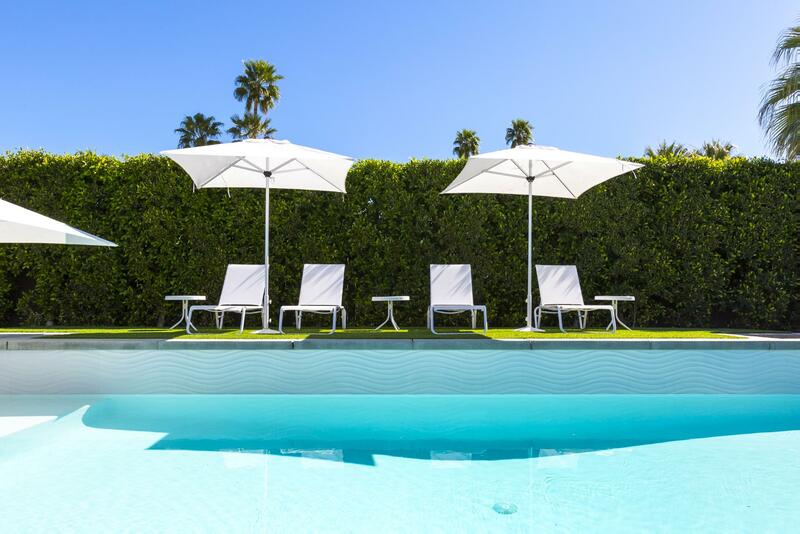 On the Eastern side of the property sits the resort-style pool area, featuring a large pool with integrated spa, elevated sun lounge with chaise loungers and freestanding umbrellas. 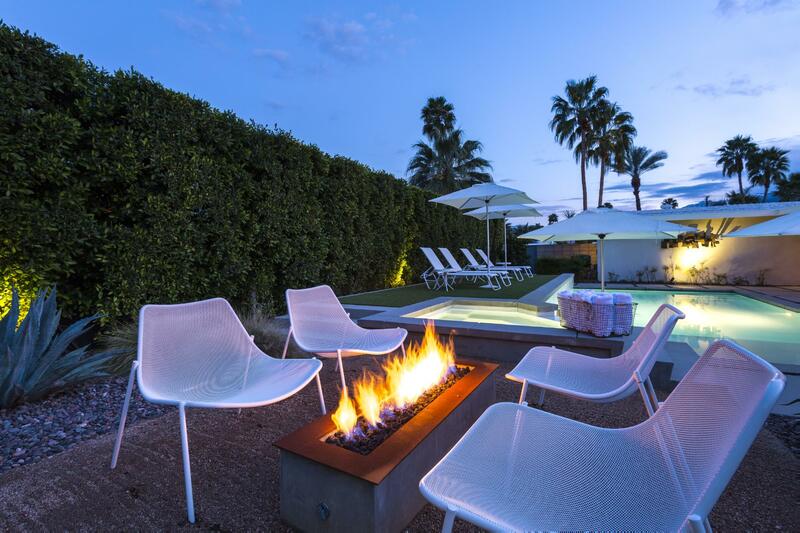 Please note The Baker is an adults only property, all guests must be over 25 years of age.